Close enough I guess, would like to thanks all those involved in (almost) making this momentous occasion. Thanks =) now its officially 100! The cat has had a long day, it seems. Congratulations as you're now at 100+1! Congrats, I love this pic! cheers to that and give the cat some cheese too! He looks like he is deep in thought lmao. Great Job ! oh.. 102 ;] followed ! alllllllll the kitty is so so so cute i just want to forcibly hug him. Congrats, a milestone in blogging history indeed. Congratulations! 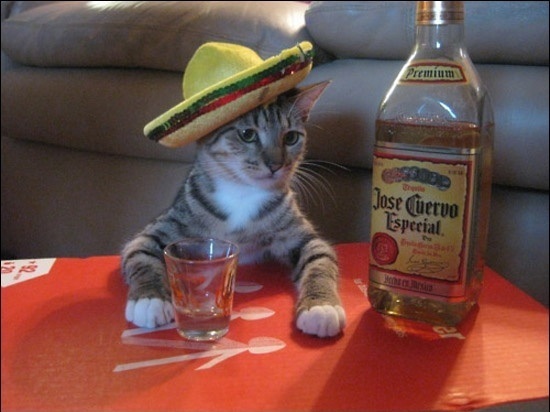 Your post made me realize a very important thing: my cat needs a sombrero.